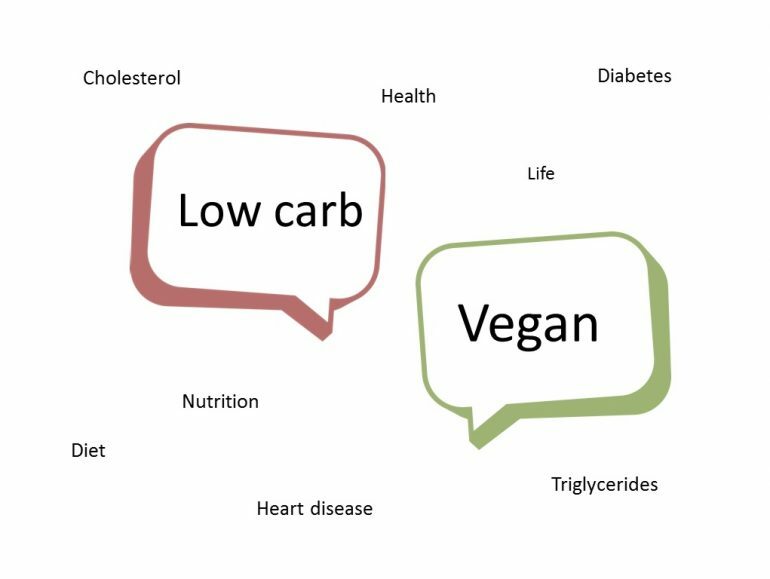 What do experts like scientists, doctors, and registered dietitians say about vegan low carb diets? I've been scouring the internet and this post is the result! It contains a selection of articles that are positive about or offer constructive views on vegan low carb diets. Admittedly, this gives a biased image, but then again you'll have no difficulty finding articles from people (especially vegans) bashing low carb in favor of high carb low fat, so I think it's actually quite refreshing to have a collection of positive opinions on low carb for once. I will try to keep this post updated with new articles from experts about low carb vegan diets. If you know any that deserve a place on this list, please let me know in the comments! A quick and dirty summary: vegan low carb high protein diets are probably healthier than low carb diets with lots of meat. There is also some evidence that they are healthier than low fat vegan and vegetarian diets. Read on to find out the details! First on the list is of course the famous 'Eco-Atkins' study. This study compared a vegan lower carbohydrate diet (130 g carbs a day) to a lacto-ovo vegetarian semi high carb, low fat diet over a period of 4 weeks. The participants of the low carb group felt more satiated, lost more weight (although not significant), had lower blood pressure and lower bad cholesterol than the low fat group, even though they ate the same amount of calories. You can read more about this study in a previous post and the scientific paper is available for free, so you can read it for yourself if you like. There was a follow-up to this study (also free to read for yourself) where the researchers revisited the participants after 6 months to see whether they stuck with the diet and what the long term results were. As is often the case with such 'ad libitum/self-selected' studies, the participants deviated substantially from the diets they were on during the 4 week period. Nevertheless, the low carb vegan group still had better results than the low fat vegetarian one, with more weight-loss, better cholesterol and lower triglyceride values. These studies stirred up some dust, and I think it is interesting to read some of the responses to it from doctors and dietitians. Vegan dietitian Ginny Messina wrote a positive response to the first study in her blogpost 'The Atkins diet goes vegan'. While she does not recommend people go on a low carb diet she does say 'I have long been an advocate of boosting plant protein intake for weight loss and also of including higher fat foods in diets to reduce heart disease risk. There is lots of research to support both'. Her colleague Jack Norris discusses the follow-up study on his blog, and speculates why the low carb group achieved better results even though they did not follow the diet strictly, focusing mainly on the higher fiber intake of the people in that group. In 2013, an article came out that looked at mortality in relation to low carb diets (again, free to read). This was a meta-analysis, combining data from 17 different studies. Plant-based low carb diets were assessed as a separate group. Dr. Michael Greger made a short video about it, if you prefer visual and audio information over written words. For the most part, the results were not good. People on low carb diets suffered from higher all-cause mortality (i.e. tended to die younger) than those on an average diet. However, the plant-based low carb group actually showed much better results, with a lower mortality than the average diet group. As the study's authors put it: 'Some studies suggested that low-carbohydrate diets might increase the risk of mortality and CVD in animal-based dietary patterns whereas they might decrease the risk in plant-based diets.' The higher all-cause mortality in most low carb diets is probably due to the large amounts of animal protein, saturated fat and cholesterol that dieters consume. A plant-based (vegan) low carb diet on the other hand seems to offer the advantages of low carb diets such as weight-loss and short term improvement of risk factors for cardio vascular disease, in addition to a better than average mortality rate. Vegan dietitian Ginny Messina has written a number of blog posts where she discussed the possible advantages of a vegan diet higher in protein and fat, such as this one, this one, this one and this one (also read the additional explanations and information Ginny provides in the comments). She recently emphasized the importance of getting enough protein for people on a restricted calorie diet. She suggests a list of 'core vegan foods' consisting of 5 servings per day of beans, tofu, tempeh, TVP, veggie meats, peanuts; 3 servings of fruits; 5 servings of vegetables and 1 serving of nuts. These core foods can be supplemented with whole grains and other foods as desired. Vegan dietitian Jack Norris is a little more cautious in the way he discusses plant-based low carb diets, but he seems to hold a neutral to moderately positive position, as can for instance be seen from his blogpost about lean type 2 diabetics. Finally, there are of course a lot of lay people (like me!) who post about low carb diets, although the plant-based variety is not often mentioned (hence this website!). There are a few happy exceptions though like Meat Free Keto and Vegan Family TV. This blogpost by Bonzai Aphrodite and this video by Unnatural Vegan are also nice. I hope you enjoyed this post and found it useful. If you have any comments or suggestions I am happy to hear from you! Thank you Angela, that is definitely a relevant study! I'll see if I can find time to write about it.